LAGOS state Governor, Akinwunmi Ambode, has said that tax incentives could be a major catalyst for greater capital flows into the capital markets in Nigeria. The governor, who said this when he played host to a delegation of the UK-Nigeria Emerging Capital Market Taskforce led by a former Lord Mayor of the City of London, Sir Roger Gifford and President of the Nigeria Stock Exchange (NSE), Aigboje Aig-Imoukhuede, who serves as co-chair of the taskforce. Expressing optimism that the report on the state of the Nigeria Capital Markets, put together by the taskforce, will benefit Lagos and Nigeria on the long run, he commended the team for embarking on an initiative which he said, has the potential of impacting the transformational development of the capital market. He said it was not accidental that Lagos was the choice destination for the launch of the report, adding that the state currently holds the fifth position as the largest economy in Africa. “Lagos state has an important role to play in this process, not just as the host of the key market platforms, but as the largest issuers of sub-sovereign bonds in the Nigerian capital market”. 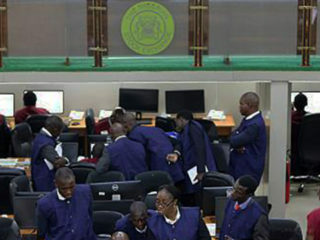 “Even when you try to situate the level of bonds that we have taken and the level of growth and development that has taken place in Lagos, it’s very clear that the contribution of the capital market has been immense to us”, the Governor said. 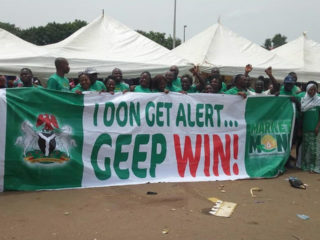 He also said that the capital market has the potential of empowering small and medium scale enterprises and larger companies with greater access to long-term capital and introducing innovative financial products. 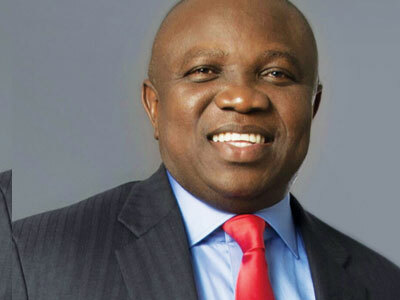 “We also want the economy of Lagos to expand and as we search to find a congress in cooperating together, as we move forward, we would be having more opportunities for younger Lagosians, people who are actually engaged in small and medium scale entrepreneurship to have more access to the capital market. This is something I look forward to”, he said. Governor Ambode also assured that his administration aside creating an enabling environment for protecting investments, will also ensure an efficient judicial dispute resolution and arbitration system. 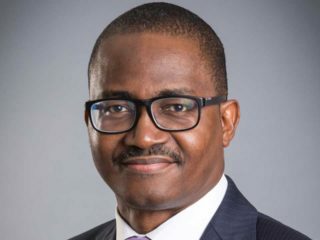 “I can commit myself to say that we would create an atmosphere where our judicial officers can actually sit down with capital market operators for us to find a channel to boost the objective of this project”, he said. He further reiterated his administration’s commitment to working closely with the Taskforce delivery group to look at the recommendations as it affects Lagos state and work towards implementing same. Earlier, Sir Roger Gifford said one of the recommendations of the report, concluded in November 2014, is aimed at reducing the cost of capital market transactions and tightening the regulatory enforcement process among others. He said the report focused on four key areas including integrity of the market, regulatory infrastructure behind the market, market incentives and barriers as well as market development in the areas of derivatives and commodities. 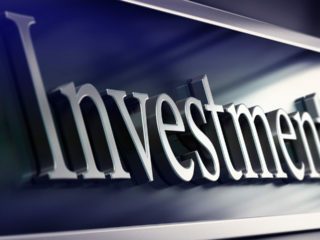 “The report reviews and makes recommendations for reforms that would deepen the Nigeria capital market and attract both domestic and international institution player. This is essential to the benefit of Nigeria as we also hope it would be to the benefit of the international institutions”.